Yeah, it's been a bit sporadic around here because I was on vacation. But a lot happened while I was gone. 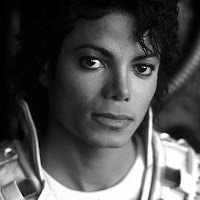 First, let me acknowledge the passing of two of my childhood icons, Michael Jackson and Farrah Fawcett. Neither was known for any contributions to cinema, per se. 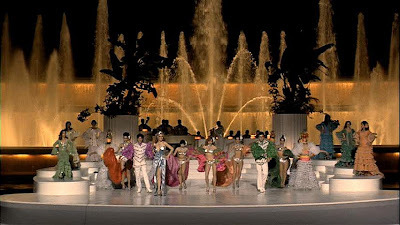 But their influence on pop culture in general, and me in particular, was unavoidable. Secondly, a bit of a change for Oscar watchers. In a move that seems aimed to increase interest in the Academy Awards (don't think it will, as the Academy isn't even holding cinephiles' attention too well these days), the Academy has decided to increase the nominees in its Best Picture category from five to ten for this year. Let me know what you think in the poll on the left while I try to get my bearings before putting up a proper post. In Part 1 of this interview, Ronald D. Moore described how Virtuality (an unsold pilot airing at 8-10 p.m. ET/PT on FOX) differs from the show that was his claim to fame, Battlestar Galactica. Today he goes further, expanding on some of the details that set Virtuality apart from other well-known science fiction series. In terms of how Virtuality's virtual reality and reality show aspects comes into play, Moore wondered, "What would NASA or the space confederation do at that point to keep them from going crazy? They’d probably have a really advanced virtual reality program to help them while away the hours, and there’s interaction between those two worlds. "Somewhere in those discussions we started talking about when they would be broadcasting pieces back to earth, obviously, like astronauts do today, and hey, what if they made a reality show out of that? Then it all kind of started to come together. You had these three layers of storytelling going on in the show where you had what was happening in the real world on the ship, what was happening in the virtual space, and then what was the reality show that was seen back on earth. Were the needs of the reality show starting to impact what was happening on the spacecraft? Were people being manipulated in order to make better drama for the reality show? The astronauts themselves would start to wonder about, 'Are they telling us the truth about what’s happening back on earth, or is that something to just get us to be upset for the cameras?' It did sort of become this really interesting sort of psychological crucible that they would all be put in." Concerning the similarities to Caprica's virtual reality subplot, Moore says, "They do have different purposes and different sorts of constructs to them. They both involve putting a set of goggles on your face, so they’re similar in sort of that perspective. In Caprica it’s really much more akin to the Internet where you go out and the virtual spaces are practically infinite and they intersect with one another. On Caprica you can go from the V-Club where we establish in the pilot is sort of a hacked world and then, presumably, there are Worlds of Warcraft type of worlds, etc., etc. It’s all sort of interconnected into their version of the Internet. "In Virtuality we’re looking at something much more discrete, much smaller, much more of a gaming type of environment where an astronaut has a specific virtual reality module that they go into and play whatever game or have whatever experience they want, but there is no expectation that you can cross from one module to another." Moore also gave an intriguing taste of what one could expect in Battlestar Galactica: The Plan, a movie that reframes the events of the defunct series through the Cylons' perspective. "I think there are definitely surprises. It’s really a piece for people who love the show. If you love the show you’re probably going to be really intrigued by The Plan, because it’s going to have all of these little bread crumbs and throw away lines and indicators and suggestions from other episodes. You’ve seen the show. You’ve watched the finale. You know how the story ends. Okay, here’s like an additional slant on some things that you didn’t know about." But Moore really hopes his fans tune into FOX tonight to try Virtuality. 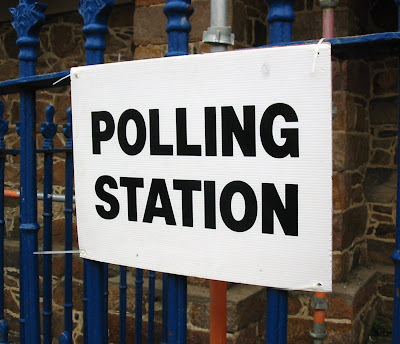 "It certainly does not resolve itself in two hours. I mean it sets up for a [series], so it’s got some pretty heavy things that go down in it and kind of leaves you going, 'Whoa! Where is that going?' by the end of it." Virtuality airs tonight at 8-10 p.m. ET/PT on FOX. 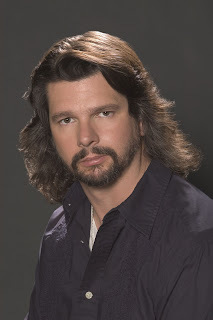 Ronald D. Moore, executive producer and developer of the late, great Battlestar Galactica, is an ambitious man. In addition to two Galactica follow-ups—TV movie The Plan (which airs this fall), and prequel series Caprica (airing in 2010)—Moore is hoping the new science fiction pilot he co-created, Virtuality (airing Friday, June 26th, at 8-10 p.m. ET/PT on FOX), will prove popular enough with viewers to go to series. Virtuality follows Earth’s first starship, the Phaeton, and its crew of 12 astronauts who embark on a 10-year journey critical to the survival of life on Earth. They have reached the point of no return where the crew must commit to traveling to a distant solar system millions of miles away. If they commit, they cannot turn back. Tensions are heightened even further as surveillance cameras capture their every move for The Edge of Never, a reality series back on Earth. To give the crew a vital recreational outlet on the long journey, the ship has been equipped with revolutionary virtual reality modules. Each crew member can assume avatar-like identities—from a war hero to a rock star to secret lovers—as they explore self-created worlds in the ultra-life-like simulators. These are their psychological lifelines, and each module’s unique setting was chosen by the crew member before departing Earth. But there is a bug in the system. As crew members go in and out of reality, they realize that a virus has entered their private world. Is someone on the crew responsible? 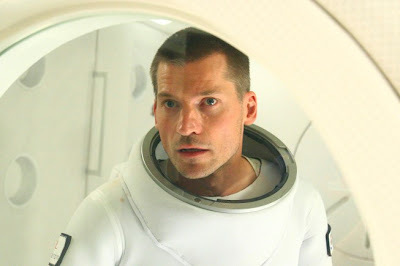 When the intruder crosses a violent and disturbing line, Commander Frank Pike (Nikolaj Coster-Waldau) makes a difficult decision to shut down the modules. But before he can, a tragic event threatens the mission. Is it an accident or a crime? Real or virtual? I spoke to Moore about Virtuality, asking him how the idea for sci-fi thriller came up. "It was an unusual situation in that [executive producers] Gail Berman and Lloyd Braun had wanted to have a sit down—a general meeting with me—and then separately they wanted to have a sit down meeting with Michael Taylor, who was one of the writers on Battlestar. So I sat down with Lloyd and Gail, and in that conversation Lloyd had this idea of, 'I would like to do a show about the first long-range mission to Mars.' We kind of talked about that a little bit in just a get-to-know-you meeting, and kind of expanded on the idea of what a long-range mission would be. "They had a similar meeting with Mike Taylor. The same kind of topic came up. He sparked to it from sort of a different angle, and then Michael and I started talking about it separately. Then the three of us started talking, and it all kind of became this sort of 'Here’s a show.' Then we just took it to FOX. We went into FOX and pitched it to [entertainment president] Kevin Reilly and his team—and they really liked it—and it kind of went from there." When asked how it differs from Galactica, Moore says, "It’s a much less serious situation than Battlestar was dealing with. Battlestar was literally a post-apocalyptic show where the future of humanity rode on their every decision, and death was stalking them continuously. So it’s not set up in the same way. The crew aboard Phaeton signed up for what just seemed like a very straight-ahead mission of exploration and they were chosen with that in mind. They were also chosen to participate in this sort of reality show that’s being broadcast back to Earth. "So there was a conscious attempt on the part of the people who put the crew together to sort of have an interesting mix of people. There are debates within the crew themselves who was chosen just for sort of their demographic content and who was legitimately supposed to be there. Now, you’ve got a group of 12 people stuck in a metal tube going in a straight line for a decade or so, and that’s going to just sort of produce a lot of tensions and frictions and manipulations and sort of cross problems between the characters. It has a stronger element of fun and suspense, and sort of interesting plot terms in terms of what characters will do with one another than did Battlestar. Battlestar was very driven by the internal pressures of the huge weight that was on all of their shoulders from the beginning of the miniseries." In Part 2 of the interview (which will be posted on Friday), Moore will discuss some of the more unique aspects of Virtuality that set it apart from other science fiction series, and give us a taste of what to expect from Battlestar Galactica: The Plan. Virtuality airs Friday, June 26th, at 8-10 p.m. ET/PT on FOX. "... American gangsterism is a style that seems designed for export. 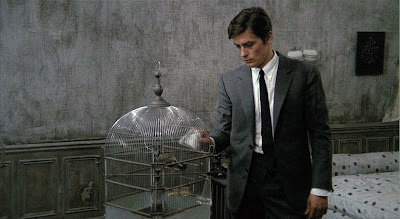 In Point Blank, directed by an Englishman, the terrain is supposedly Los Angeles, but Lee Marvin might as well be trekking across Mars; and in Le Samouraï, directed by a Frenchman—another obvious source for The Limits of Control—the terrain is supposedly Paris, but Alain Delon might as well be holing up somewhere in Tokyo." "The sojourns from Charles de Gaulle Airport to Madrid to Seville to Almería, the secretly appointed meetings with a series of shadowy but finally beguiling figures, the wonderfully dry peregrinations and contemplative interludes, are in all probability acts of imagination." 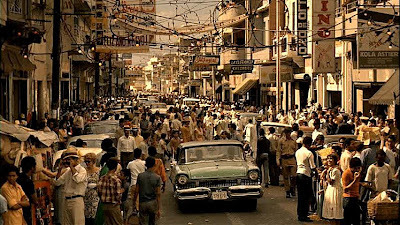 *** The repetitive nature of the Lone Man's encounters with some rather eccentric characters—in which each meeting begins with the question, "Usted no habla español, verdad? 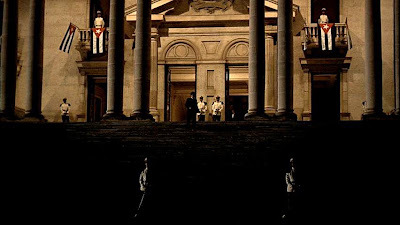 ", followed by variations on the same conversation regarding life and its ineffable connections with art, science, etc.—is a comment on the repetitive nature of cinema where the viewer passively participates in a dream life, just as the Lone Man seems to passively acquire information from his own extended dream that will allow him to complete his mission. Indeed, it is the Blonde (Tilda Swinton) who confirms the Lone Man/filmgoer analogy most explicitly when she extols the pleasures of film appreciation. In this discussion, she foreshadows her own mysterious kidnapping by implying a comparison between her platinum-locked look to Rita Hayworth's in The Lady From Shanghai (1947) and making mention of that character's ultimate demise. *** In the DVD audio commentary for The Limey, Steven Soderbergh and Lem Dobbs deny any facile influence that Point Blank may have had on their film. But there is undoubtedly an affinity between the two movies. Both feature working-class, one-named protagonists, their stories viewed through the prism of the mind's eye. 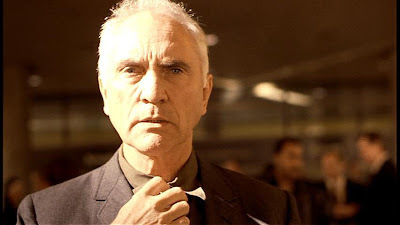 (In The Limey, it is Terence Stamp's Wilson, journeying to Los Angeles on a single-minded mission against a representative of capitalism.) The Limits of Control also reveals the Lone Man's enemy to be a capitalist, who the film credits list simply as American (Bill Murray). Soderbergh chooses to make Wilson an outsider the same way Jarmusch does…by making him a foreigner. So it is curious that while this hero type, the American loner, appeals to both Jarmusch and Soderbergh, two American artists, they cannot bring themselves to cast an American actor in the role. Instead, they reimagine the respective characters in each film to be non-natives and cast the villains as capitalist Americans—therefore, enemies of art. In this context, the Lone Man is a distillation of cinema's archetypal American existential protagonist. By reflecting other such characters that came before him, Jarmusch suggests the malleability of cinema as the times change, illustrating how our sensibilities, the characters we identify with, and the way we relate to them may shift despite the synonymity of cinema's established iconography. This post first appeared at The House Next Door on 6/14/09. There was a time when Sam Mendes seemed like he was at the vanguard of young directors. His first film, American Beauty (1999), struck a very resonant fin de siècle chord at the time of its release. But with subsequent releases like Jarhead (2005), Revolutionary Road (2008), and as some early reviews indicate, Away We Go (2009), it has become apparent that while Mendes has a nose for talent, he doesn't seem to have much to say. 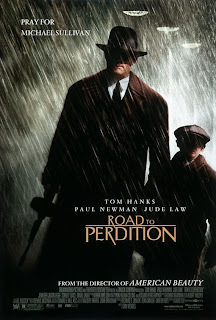 This strangely superficial quality that he disguises fairly well in his selection of material to bring to the screen doesn't seem to affect his second film (perhaps because it is the only genre piece in his oeuvre), Road to Perdition. Maybe its because the film, based on a graphic novel, treads some familiar ground. 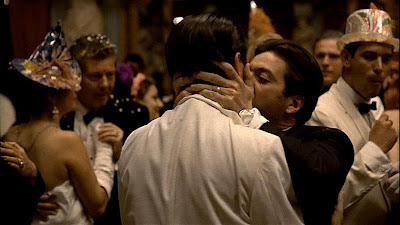 The neo-noir follows some well-established gangster drama tropes, like "blood is thicker than water", "it's only business", and "honor amongst thieves." Fusing these cliches to a family psychodrama contrasting the relationship between button man Michael Sullivan (Tom Hanks) and his eponymous son (Tyler Hoechlin), to the one between his surrogate father, mob boss John Rooney (Paul Newman, in his last onscreen film performance) and his envious son, Connor (Daniel Craig), may freshen up the proceedings somewhat. However, thanks to the film's powerful performances, a moving score by Thomas Newman (The Shawshank Redemption), and the gorgeous cinematography, the movie still holds up in a way that most of Mendes later work doesn't. Here, I've chosen to focus on the wonderful imagery by the late, great Conrad Hall (In Cold Blood, Butch Cassidy and the Sundance Kid). This was his last film, and won him the last of three Academy Awards for Best Cinematography. And for my money, this poetic film succeeds mostly on the basis of its beautiful and evocative images. This post was first published at Film for the Soul for its continuing series on the best movies of the 2000s, Counting Down the Zeroes, on 6/15/09. One of the best films ever made, The Seventh Seal (Det sjunde inseglet), gets a rewarding bit of sprucing up for Criterion's new Blu-ray edition. This movie must have been a shock of the first order to audiences expecting a follow-up to Ingmar Bergman's previous film, Smiles of a Summer Night (1955). That romantic comedy was all the rage at the Cannes Film Festival in 1956. But what an about-face Bergman decided to do when he followed it with this highly theatrical and symbolic look at man's relationship with God and death. Set in medieval times, the movie follows Antonious Block (Max von Sydow), a disillusioned knight on his journey home from the Crusades. His travelling companion and squire, Jöns (Gunnar Björnstrand), tries to leaven their weary spirits with gallows humor. But only the knight is aware of another shadowy figure making the journey with them... Death (Bengt Ekerot). 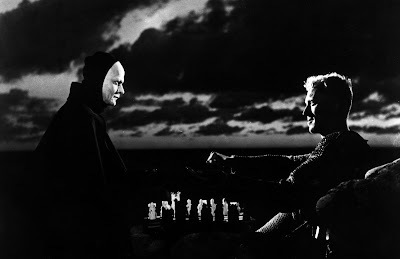 Though Block has felt the spectre of Death throughout his trip home, it is only when confronted with the shadowy figure on a beach that he decides to challenge him to a game of chess, hoping to forestall his demise long enough to seek a better understanding of God and the afterlife in the interim. This central image drives Bergman's weighty philosophical examination of the metaphysical, as he admits in one of the most interesting special features ever to be included on a disc, Marie Nyreröd's documentary Bergman Island (2004). It is a fascinating three-part exercise that has the director candidly examining his work and his life (near the time of his death in 2007) from his home in the island of Fårö. The doc is substantial and significant enough that the film curators at Criterion decided to release it separately on DVD for those who do not get The Seventh Seal on Blu-ray. Still, you are really missing out if you don't take advantage of having the two on the same Blu-ray disc. Gunnar Fischer's cinematography for The Seventh Seal is the prime beneficiary of the Blu-ray's enhancements. Compare this version of Seal to its original release on Criterion back in 1999. As I keep reiterating on this site, there is no film with which one can appreciate the value of Blu-ray the best as a cinema classic like Seal. 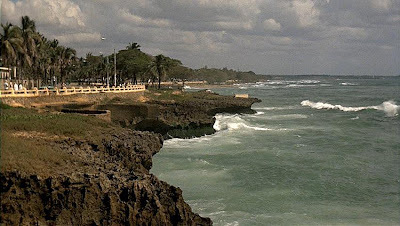 The richness of the black-and-white deep-focus photography—as in the sharp detailing of a bird's-eye shot of the coastal rocks through which Block and Jöns pass on their way home—is a revelation to viewers who've only seen the murkier versions of this shadowy film. Now, instead of one big blotchy black, there are gradations of grey within the shadows. For those who've never seen this classic of world cinema, Criterion's Blu-ray of The Seventh Seal is the way to do it. Don't confuse its grim, heavy subject with its running time, either. This movie is light on its feet, and with a 97-minute running time, moves pretty damn fast through some deep thoughts on humanity relative to its own extinction—which considering the world economic crisis, and North Korea's recent aggressive posturing, still manages to be relevant today. The Seventh Seal is available on Criterion Blu-ray and standard DVD tomorrow. Bergman Island is available on standard DVD tomorrow. Up is perhaps the first Pixar movie I can think of that is specifically aimed at a general audience rather than child viewers. Sure, the other films have a broad appeal. But none of them seem especially geared towards adults as much as this one. Its storyline focuses on love, commitment, loss, and renewal... adult subjects that will certainly go over the heads of young ones. 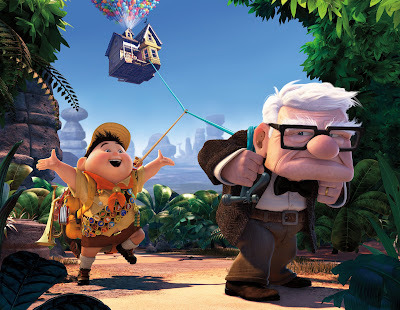 Ed Asner voices Carl, a crotchety old man who, as we learn in Up's prologue, wasn't always this way. Like in last year's Wall·E, this sequence is almost completely devoid of dialogue, and recounts the story of Carl's lifelong romance with Ellie, an audacious girl who fanned Carl's smaller spark for adventure into a grand flame. Their dream was to search for a long missing hero, Charles Muntz (Christopher Plummer), who had disappeared in South America. But like John Lennon said, "Life is what happens to you while you're busy making other plans." Their meager savings end up redistributed towards more urgent needs, and dreams get put on hold. And one day, Ellie is gone. Carl is alone, holding onto everything he owns, his house a mausoleum erected in Ellie's memory. Enter Russell (Jordan Nagai), a Wilderness Explorer (Pixar's version of a Boy Scout). The last badge he has left to earn is the one for assisting the elderly. Russell's timing brings him into Carl's life at the moment he embarks on an harebrained exploit to South America, flying in his house, which is held aloft by hundreds of helium balloons. It's an evocative image, dredging up childhood dreams of magical journeys for any adult. And the movie pays it off unpredictably, as Carl and Russell end up forming a nuclear family of sorts with an exotic bird named Kevin as the mother, and a talking dog named Dug filling the role of family pet quite hilariously. But most impressive is the natural way the filmmakers forge the bond between Carl and Russell through each character's personal loss, Russell's being the distancing from his own father after his parents' divorce. These may seem like common points of identification nowadays. But any longtime Disney film fan can tell you that divorce is usually a taboo subject in their animated films. Adult or child, Up has a lot to offer anyone seeking a gentle reminder that life's adventures begin when and where one isn't looking. Jules: I'll just walk the earth. Vincent: What'cha mean walk the earth? Jules: You know, walk the earth, meet people... get into adventures. 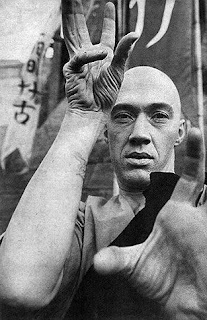 Like Caine from Kung Fu.